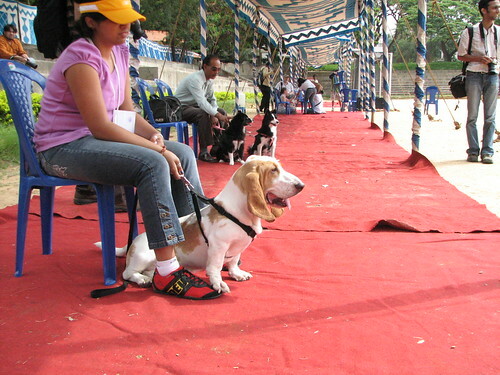 A Bangalore based NGO,CUPA, organized its 2nd Dog Show on 12th July 2008 at Sullivan Police Ground, Magrath Road, Opp Garuda Mall from 9:30 am - 5:30 pm. This was the first time I ever saw so many breeds of dogs together. Well, I wish my camera had some image naming system so that I could have their breed names as I clicked. 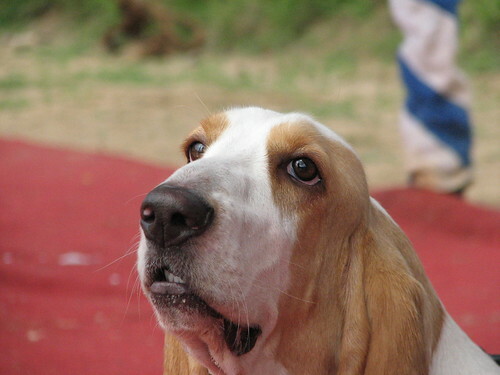 There were few dogs which couldn't walk and sheltered by CUPA. 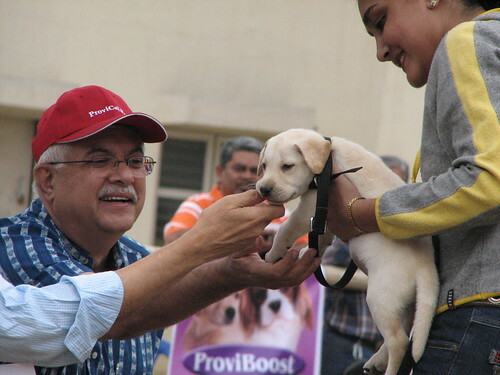 As the owners arrived with their dogs, the volunteers were helping them giving a bowl of water to the dogs. Jumper the grateful :D Some dogs were adorned with shirts, skirts, jewelery and even pony tails. 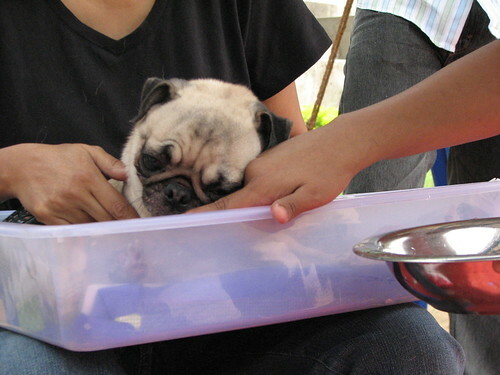 This pug dog couldn't walk and had been adopted. Hence, it was brought in a tray. 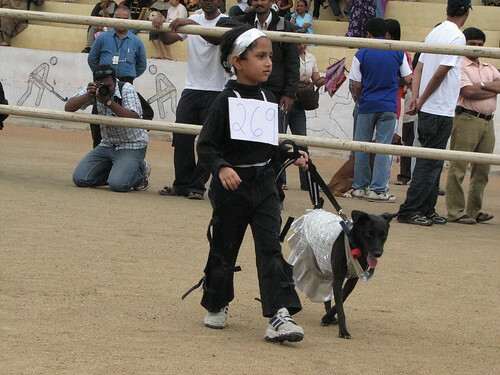 The special attraction was performed by dogs of Bangalore Police Canine Unit. This was prior to final prize distribution ceremony. Though, I could not make it till the end. The most amazing dog show ever. Great photos as well!! Too bad you missed the canine unit show - it was a just way too good. The next 2 dog shows will be towards the edn of this year and early next year, in Palace grounds (dec) and Vet College (jan). See you there! @ Anonymous, Thanks. Missed the end of the show. BTW, can you post your email id/URL here? needless to say that am a dog lover..
What a dog lover's delight! 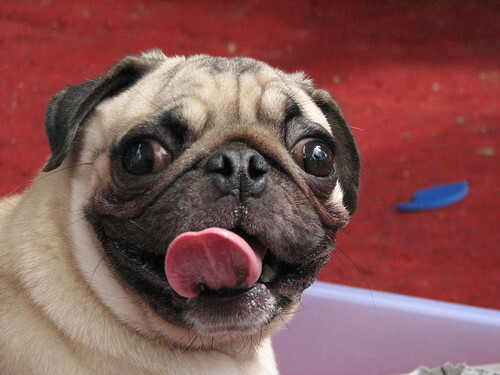 I dont like dogs much, but your pictures speak for themselves. I liked the expressions on most of them. @ Gazal, Thanks. Will put the info prior the shows.